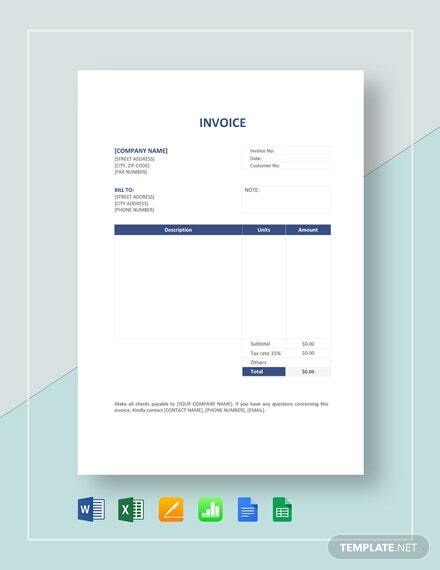 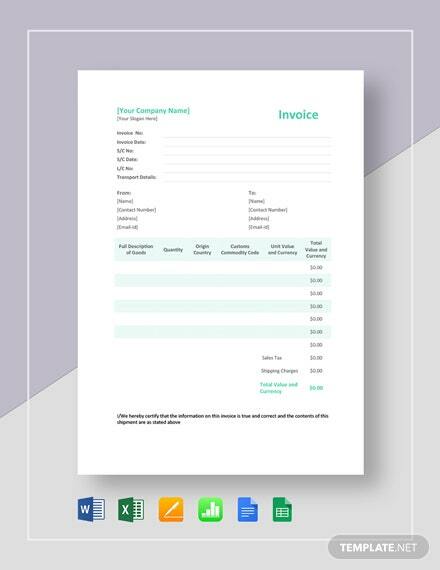 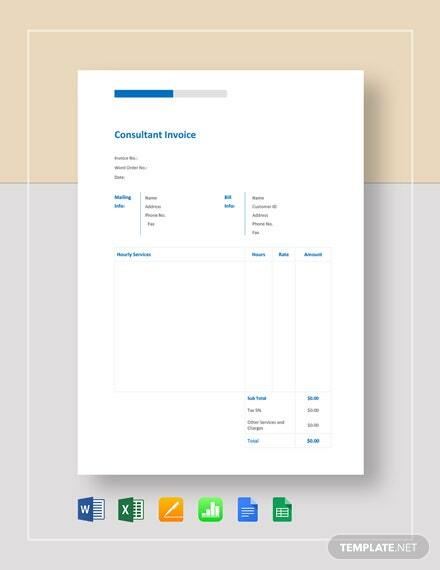 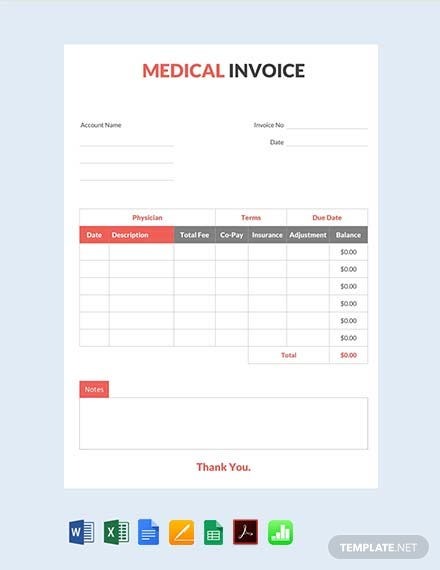 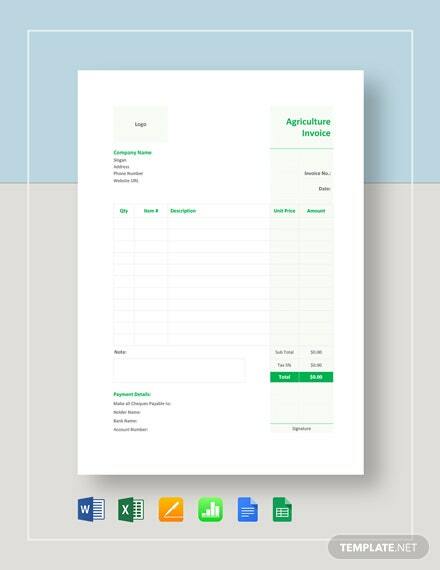 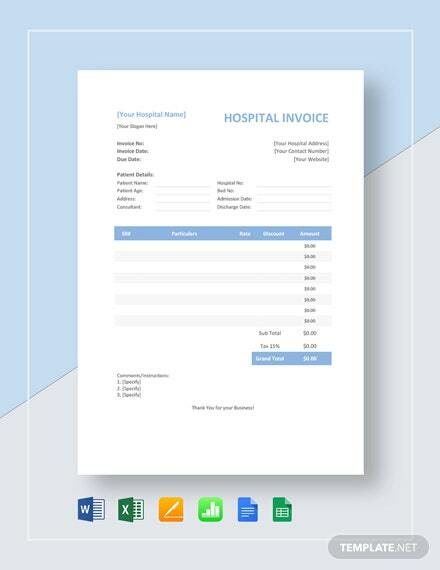 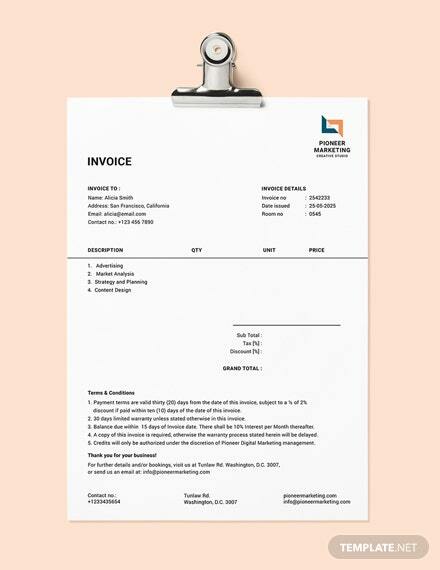 A medical invoice template like this just screams quality. 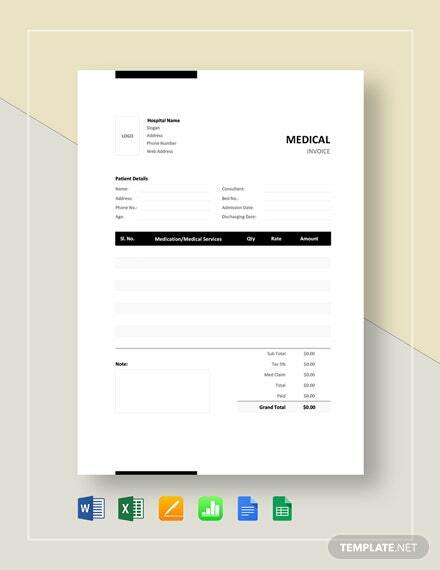 Behold its well-made formatting, its standard Google fonts, and its customizable layouts. 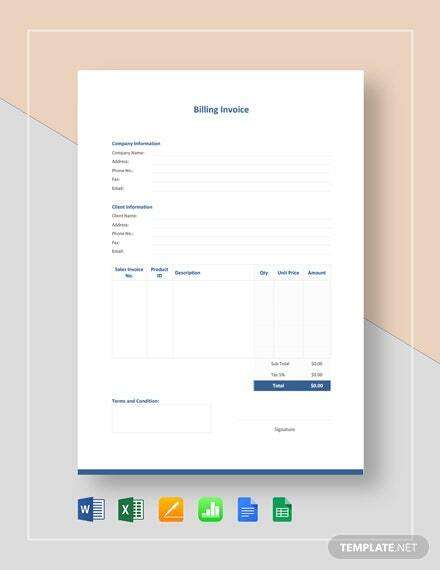 Get this item for free.